Huge Luxury Estate on Private Lake! Ultimate Party House! ***As profiled in The Wall Street Journal*** This is the most luxurious property that you will find for your family or group for Super Bowl 2014. Massive 100 acre luxury estate on gorgeous private lake 22 miles from the stadium. 4 story 6 bedroom 7 bath home. Huge eat in kitchen, big, warm and welcoming family room with wood burning fireplace, large play/sports room with pool, pinball, air hockey, formal living room with fireplace, formal dining room. music room with grand piano, exercise room with elliptical, laundry room, 3 car attached garage all overlooking private lake. Large SUV (seats 7) available at extra charge. Separate maids/nanny/chauffeur quarters available next to home. 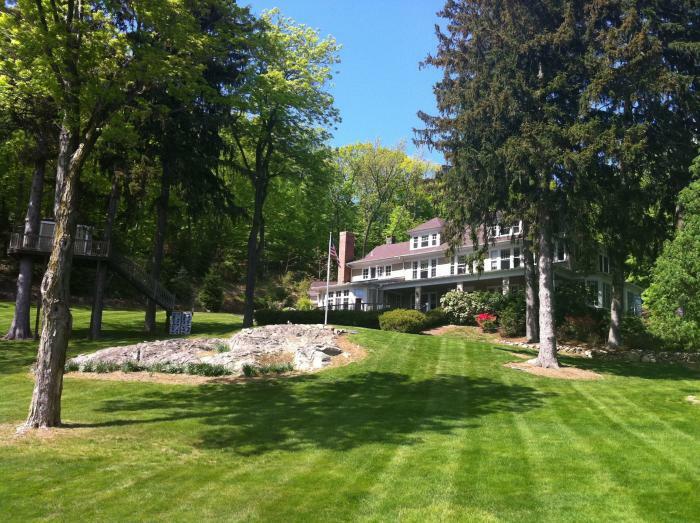 This rental is located in Kinnelon, New Jersey 7405 and has 5 upcoming nearby events. 2018 US Open Golf and is located 99.9 miles away from Shinnecock Hills Golf Club. 2020 US Open Golf and is located 31.7 miles away from Winged Foot Golf Club. 2019 PGA Championship and is located 49.1 miles away from Bethpage Black Course. 2018 US Open Tennis Championships and is located 30.7 miles away from USTA Billie Jean King National Tennis Center.